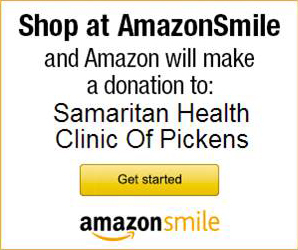 Get Involved with Samaritan Health Clinic. Samaritan Health Clinic is a faith based ministry and receives funding from churches, United Way, civic organizations, Baptist Easley Hospital, Best Chance Network, Pickens County, grants, corporate donations, and fundraisers. But we still need YOU!